Wild specimen from the Río Tigre, Peru. This species occurs in the Río Nanay system, Peru. 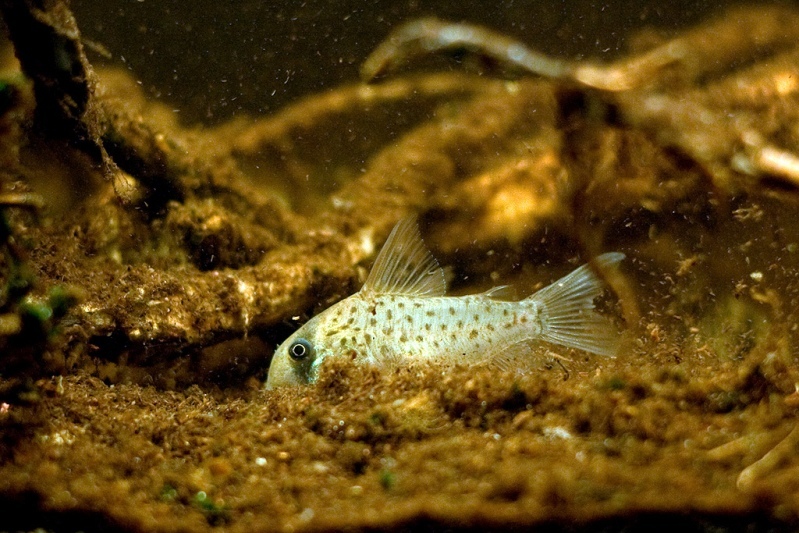 Individual foraging in a biotope-style aquarium. atropersonatus: from the Latin ater, meaning ‘black’ or ‘dark’, and personatus, meaning ‘masked’, in allusion to the markings on the head. 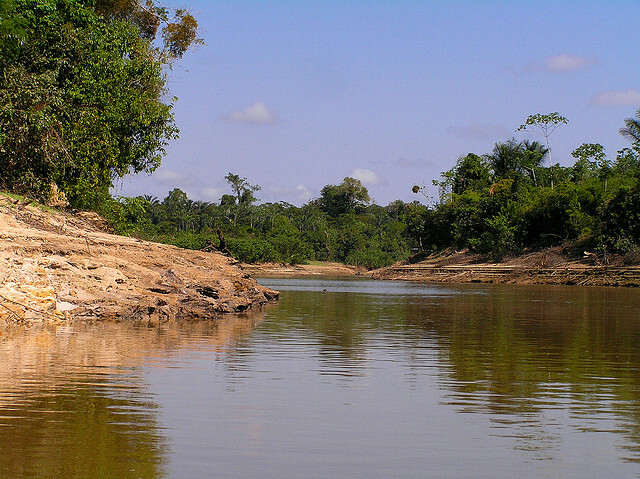 Type locality is ‘ Río Conambo at mouth of River Shione, Río Tigre system, about 2°00’S, 76°30’W, Pastaza State, Ecuador’, and this species is known only from the Tigre and Nanay drainage systems. While the Tigre flows several hundred kilometers north into Pastaza state, Ecuador, the Nanay exists entirely within Loreto Department, Peru, where the two rivers are separated only by a distance of 20-30 km for much of their respective courses. This species is sometimes confused any of several similar-looking fishes such as C. sychri or C. sp. C097. 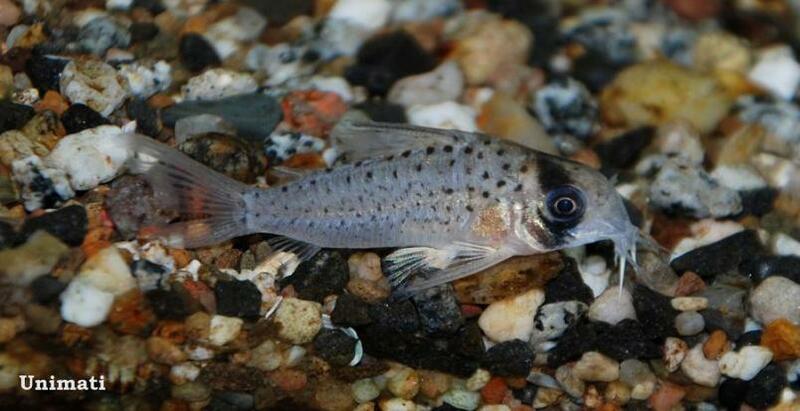 While the former is a more elongate fish with a longer snout and quite easy to identify, C097 resembles C. atropersonatus more closely, despite being traded as C. sychri ‘longnose’. Its snout is longer than that of C. atropersonatus but shorter than that of C. sychri, and the dark spots on the body tend to be more well-defined and spaced out than in the other two. 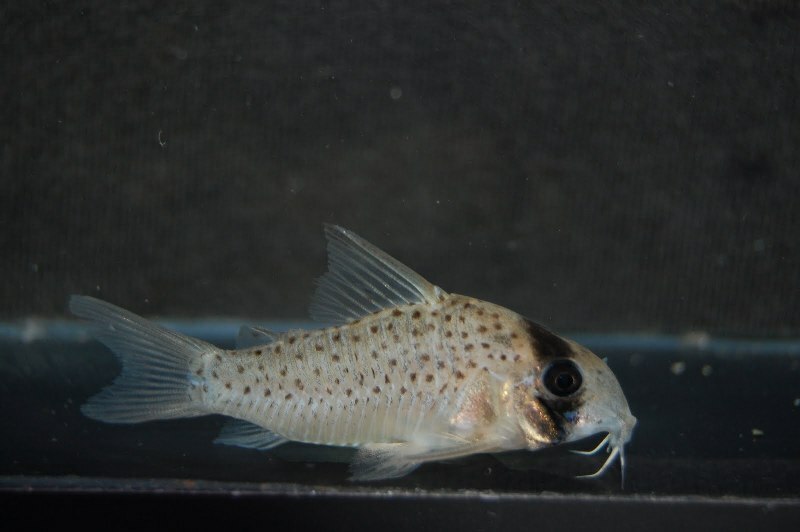 Four new species and one new subspecies of the catfish genus Corydoras from Ecuador, Colombia and Brazil (Pisces, Siluriformes, Callichthyidae).